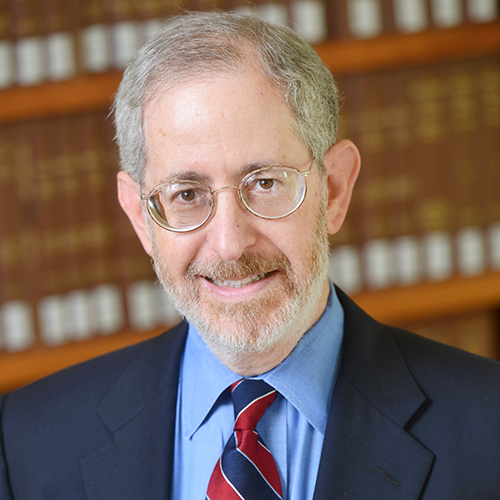 Professor Kenneth Klee joined the UCLA Law faculty in July 1997 after teaching bankruptcy and reorganization law as a Visiting Lecturer commencing in 1979. He taught at Harvard Law School during the 1995–1996 academic year as the Robert Braucher Visiting Professor from Practice and at Georgia State University College of Law during 2003 as the SBLI Visiting Professor. Since 1975, Professor Klee has participated on several hundred programs for the continuing education of the bar in the area of bankruptcy and business reorganizations. He has served twice as a Lawyer Representative to the 9th Circuit Judicial Conference and has served since 2011 on the Ninth Judicial Circuit Historical Society Advisory Council. Mr. Klee also serves as a member of The American Law Institute and was an Adviser on its Transnational Insolvency Project. In addition, he is a founding member and past Director of the International Insolvency Institute. Mr. Klee is a past president and member of the Board of Governors of the Financial Lawyers Conference of Los Angeles. He served from 2011-2014 as one of 18 voting Commissioners on the American Bankruptcy Institutes' Commission to Study the Reform of Chapter 11. He served from 2011-2014 as member of the executive committee of the National Bankruptcy Conference, a capacity in which he previously served from 1985 to 1988, 1992 to 2000 and 2005 to 2008. Professor Klee served from 2011-2014 as Chair of the National Bankruptcy Conference's Committee to Rethink Chapter 11 and also served as chair of its legislation committee from 1992 to 2000. Mr. Klee was Associate Counsel, Committee on Judiciary, U.S. House of Representatives 1974-1977, where he was a principal draftsman of the Bankruptcy Code. Since then, he has served periodically as a bankruptcy consultant to the House Judiciary Committee, 1977-1982, and to the United States Department of Justice, 1983-1984. Mr. Klee served as a contributing editor to Collier on Bankruptcy from 1979 until 1996 and a consulting editor from 1980 to 1996. Mr. Klee served from 1992-2000 as a member of the Advisory Committee on Bankruptcy Rules of the United States Judicial Conference. In June 1994, he led a mission to China sponsored by the International Republican Institute to assist in the writing of the Chinese Bankruptcy Laws. In 2015, Professor Klee received the American College of Bankruptcy's Distinguished Service Award. In 2013, Professor Klee was named by The International Who’s Who of Insolvency & Restructuring Lawyers 2013 as one of the top ten most highly regarded insolvency and restructuring attorneys in the world. In addition, he was inducted into the Turnaround Management Association’s Turnaround, Restructuring, and Distressed Investing Industry Hall of Fame. Professor Klee also received The Bankruptcy Inn Alliance Distinguished Service Award for 2013. Professor Klee is a founding Member of Klee, Tuchin, Bogdanoff & Stern LLP, specializing in corporate reorganization, insolvency, and bankruptcy law. Representative clients of Mr. Klee have included: Jefferson County, Alabama and Town of Mammoth Lakes, California, as Chapter 9 debtors; 400 South Hope Street Associates L.P., in which he served as lead debtor's counsel; the debtors in Barney's Inc., et al., as debtors' special counsel; the debtors in Anacomp, Inc.; the debtors in Sun World; the debtors in the five administratively consolidated Standard Brands Paint Company cases; the debtor in Financial Corporation of America; the creditors' committees in the Adelphia, Del Taco, Iridium, Momentive, Papercraft and Griffin Resorts, Inc. chapter 11 cases; the noteholders' committee in PG&E National Energy Group, and Marlene Penrod, as appellee before the United States Court of Appeals for the Ninth Circuit in In re Penrod; the out-of-court bondholders' committees in the Charter Medical and Orion Pictures restructurings; the out-of-court Bondholders' Steering Committee in Primestar; and Pennzoil, in the Texaco Inc. chapter 11 case. Equity investors in 203 N. La Salle Street Assocs. ; Boston Chicken Plan Trust as majority equity owner of Einstein/Noah Bagel Corp.; Marshall, as appellee before the Supreme Court of the United States in Stern v. Marshall, 131 S. Ct. 2594 (2011); First Trust and Bank of New York, trustees, as appellees before the New York Court of Appeals and the United States Court of Appeals for the Eleventh Circuit in Chemical Bank v. First Trust (In re Southeast Banking Corp.); Maxwell Communication Corp. PLC, as appellant before the United States Court of Appeals for the Second Circuit in Maxwell Communication Corp. PLC v. Societe Generale, et al; counsel of record for Penrod in AmeriCredit Financial Servs. v. Penrod (In re Penrod), 611 F .3d 1158 (9th Cir. 2010), petition for rehearing en banc denied, 636 F 3d 1175 (9th Cir. 2011), cert. denied, 132 S. Ct. 108 (2011). He also has served as an expert witness in over 50 matters and as The Examiner in Tribune. Professor Klee is the author of: Bankruptcy and the Supreme Court (Lexis-Nexis, 2008) (Supreme Court bankruptcy case data base available at http://apps.law.ucla.edu/supremecourtcases/); and co-author of both Bankruptcy and the Supreme Court: 1801-2014 (West Academic, 2015) available at http://store.westacademic.com/s.nl/it.A/id.16776/.f and Business Reorganization in Bankruptcy (West, 1996; 2d ed. 2001; 3d ed. 2006, 4th ed. ThompsonReuters/West, 2012) and Fundamentals of Bankruptcy Law (ALI-ABA, 4th Ed. 1996, Supplement, 1998). He has authored or co-authored thirty law review articles on bankruptcy law. Among his published works are "One Size Fits Some: Single Asset Real Estate Bankruptcy Cases," 87 Cornell L. Rev. 1285-1332 (September 2002); also published in 4 Legal Scholarship Network: UCLA School of Law Research Paper Series (Mar. 20, 2002), available at http://www.ssrn.com; "Asset-Backed Securitization, Special Purpose Vehicles and Other Securitization Issues," (with Brendt C. Butler), 35 U.C.C. Law Journal 23-67 (September 2002); "Teaching Transactional Law," 27 Calif. Bankr. J. 295-311 (2004); "The Bankruptcy Abuse Prevention and Consumer Protection Act of 2005 -- Business Bankruptcy Amendments,” (with Brendt C. Butler), 38 Uniform Commercial Code Law Journal 301-71 (2006); "Recalibrating Consent in Bankruptcy," (with Daniel Bussel), 83 American Bankruptcy Law Journal 663-748 (2009) Full Text; and "Rethinking Chapter 11," 21(5) Norton Journal of Bankruptcy Law and Practice 465 (2012).